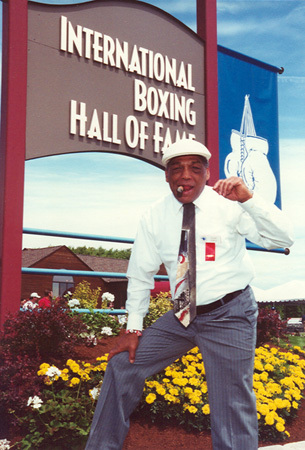 CANASTOTA, NY - SEPTEMBER 5, 2017 - The International Boxing Hall of Fame announced its flags will fly at half-staff in memory of featherweight champion Ultiminio “Sugar” Ramos who passed away Sunday in Mexico City after a long battle against cancer. He was 75. 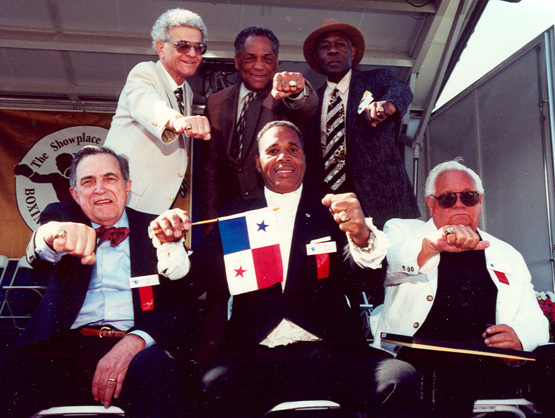 In 2001 Ramos was elected into the International Boxing Hall of Fame. The Class of 2001 - Back row (left to right) Ralph Citro, Ramos, George Benton. Front row (left to right) Bill Gallo, Ismael Laguna & Don Chargin.